Amidst the mayhem that was last decade's LA gourmet burger craze, a buddy and I sought out to sample everything the city had to offer. We ate a ton of burgers. We spent a ton of our below average Hollywood Assistant salaries. We probably increased our cholesterol tenfold. But, it was all worth it. We enjoyed some amazing hamburguesas. One was better than the others though and at the end of the wild red meat consumption adventure a conclusion arised: Lucky Devils made the best burger in the Los Angeles Metropolitan area. Fast forward to 2011. The burger craze may have dwindled slightly, but there are still great burgers available in every part of town. I've recently fallen in love with the likes of Hole in the Wall and Umami, amongst others. LA Weekly's Elina Shatkin has even taken it upon herself to try 30 of the city's best in 30 days. This got me thinking... Does Lucky Devils still make the best burger in town? To find out, I returned to the Hollywood Blvd. haunt for the first time in three years to sample their famous Kobe Bacon Bleu once again. 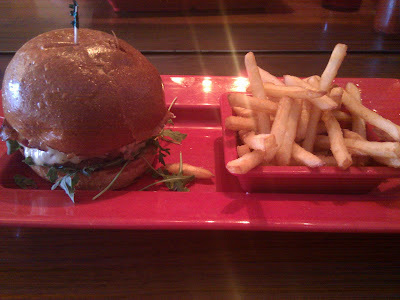 I am happy to report it is still the best burger in town... barely. Let's break down the Kobe Bacon Bleu by its individual components. THE PATTY - LD gets their Kobe beef from the highly lauded Snake Valley Farms in Idaho. At Snake Valley, they are known for two things: amazing American Wagyu Kobe beef and the country's top Kurobuta pork. Those are two good things to be known for. And Lucky Devils takes full advantage of this amazing piece of all-natural American Kobe by perfectly cooking it - not too pink, not too dark. THE CHEESE - A stupidly awesome combination of Swiss gruyere and punchy blue cheese. 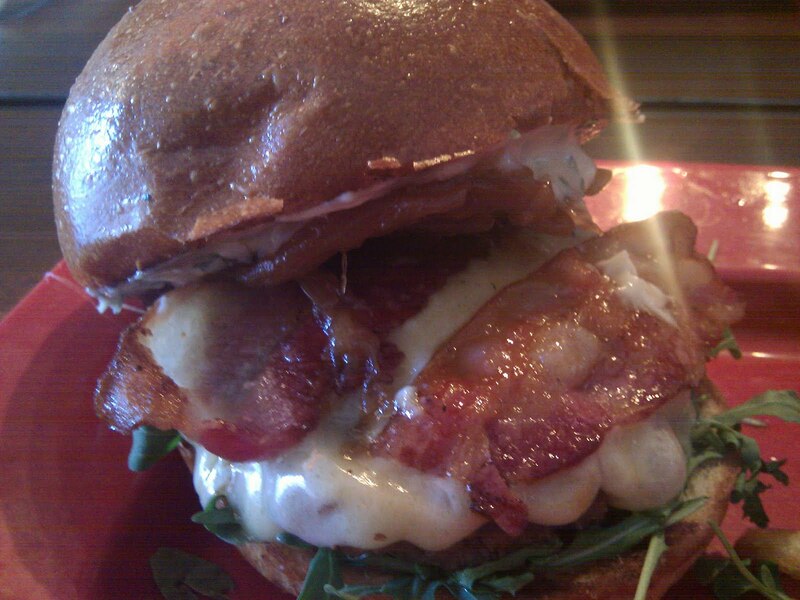 THE TOPPINGS - The toppings on the Kobe Bacon Bleu compliment the top notch patty and cheese combination perfectly. The bacon is smoked twice (TWICE) giving it a great smoky, yet smooth flavor. The carmelized onions are beer-soaked. The aioli features hints of freshly roasted garlic. And the wild arugula makes you feel a little bit better about yourself because at least you had some "salad" with this crazy gluttonous burger. THE BUN - A perfectly soft Brioche bun. THE FRIES - Perfectly crisp with just enough sprinkled sea salt. THE COST - A Kobe Bacon Bleu and a side of Crispy Fries sets you back $17 before tip. Add one of their great on tap or bottled artisanal beers for another $6 and you've got a pretty hefty price tag for "just a burger." The thing is, it's not just a burger. It's better than that. You can also opt for tallgrass beef or Shelton turkey instead of the Kobe and save a few dollars. I wouldn't recommend skimping though. The Kobe Bacon Bleu is worth every penny. CONCLUSION - Still the best. But the competition is inching closer.